Peterborough residents queued up to have their antiques valued as The Duke was in town to film the latest episode of a hit TV show. David Dickinson was at the East of England Arena on Saturday to film the latest episode of ITV antiques show Dickinson’s Real Deal - and David, known as ‘The Duke’ to his legion of fans - was in for a treat with a range of pieces brought along for his team of experts to value. Among the items residents took to the filming was a ventriloquist’s dummy, along with more traditional glass and silverware. Fans were also able to speak to and have their photograph taken with David during the day. Experts on the day included Alistair Lamont, James Layte and auctioneer Charles Young. 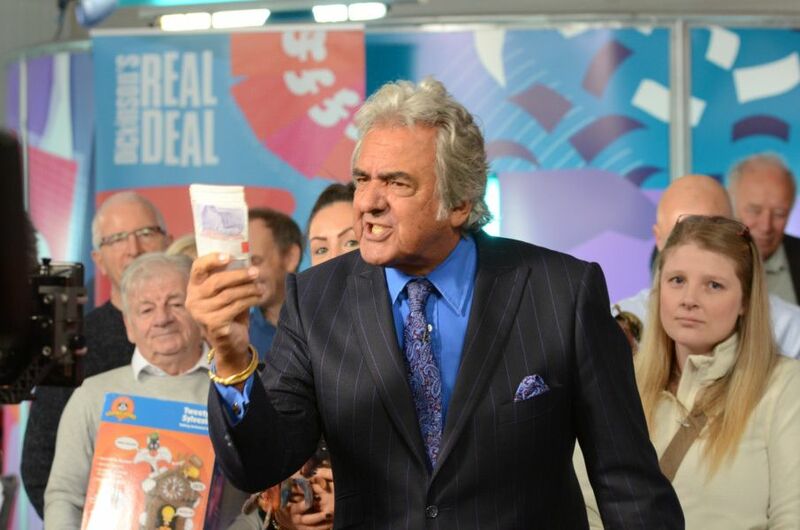 Andy Nuvoletta, from the Dickinson’s Real Deal team, said: “We had a really successful day - we had about 200 people come through the door with a real range of things. Along with the ventriloquist props, we had Lalique Glass, which is always a big winner, and plenty of other great things. We filled up the show really quickly, and David had high hopes for a lot of the items. We have been to Peterborough before, and we always have a good time, so I am sure we will be back.” Residents could have a while to wait before seeing how the items do, as the episode is not scheduled to be broadcast until 2021.